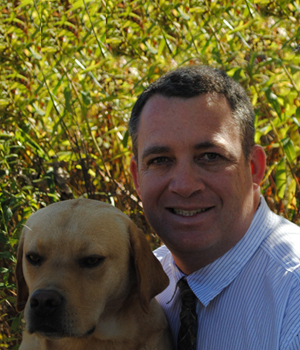 Dr. Marco Mazzocco received his Doctor of Veterinary Medicine in 1999 from the Ontario Veterinary College. He also received a Bachelor of Science degree from the University of Guelph. After graduation he completed an intership in small animal surgery, medicine and critical care at the Veterinary Teaching Hospital at the Ontario Veterinary College. During this intense year of medical training he got the chance to work with world renowned specialists in surgery, internal medicine, critical care, cardiology and oncology. He has continued his training in Florida and at Colorado State University in Fort Collins, Colorado in minimally invasive surgery and has brought endoscopy and laparoscopy to private practice in Guelph. His furry family includes two yellow Labrador retrievers and two rescue cats.